This Hotel Review Sentiment analysis provides insights into customer reviews and feedback to find the best hotels for distinct locations. 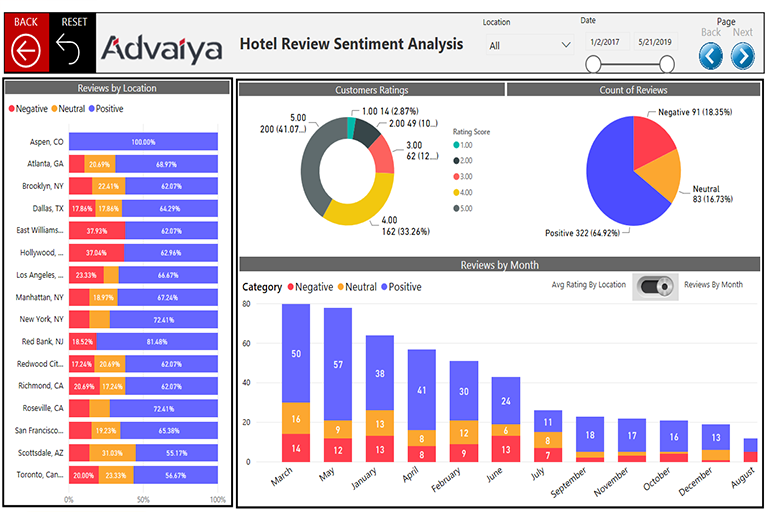 In this solution, customer sentiment analysis is done to provide meaningful insights to identify the hotels which provide the best experience for their customers. 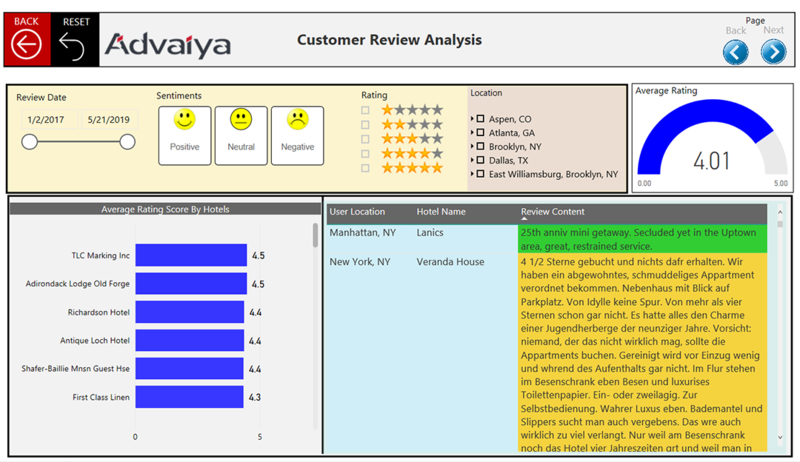 The first page displays customer reviews for different locations, to provide an easy way to analyze review type. We Donut chart and Pie charts to display customer ratings and reviews, and find that around 65% of customer reviews are positive, with 44% of customers giving the Hotels a 5 rating for these locations. In the last visual, a toggle button with bookmarking features allows users to quickly change the visual by clicking on the toggle. Reviews are displayed by location and by month. Each page contains buttons for navigating to the previous and next pages, a RESET buttons is there to clear all the applied filters in the tab, and a Back button allows the users to go back to the original page after drilling through. On the Customer Review Analysis, a Hierarchy Slicer allows users to filter and check the customer reviews for any location and hotel. 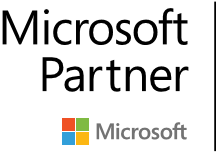 Data can be further filtered by customer sentiments, ratings and dates. 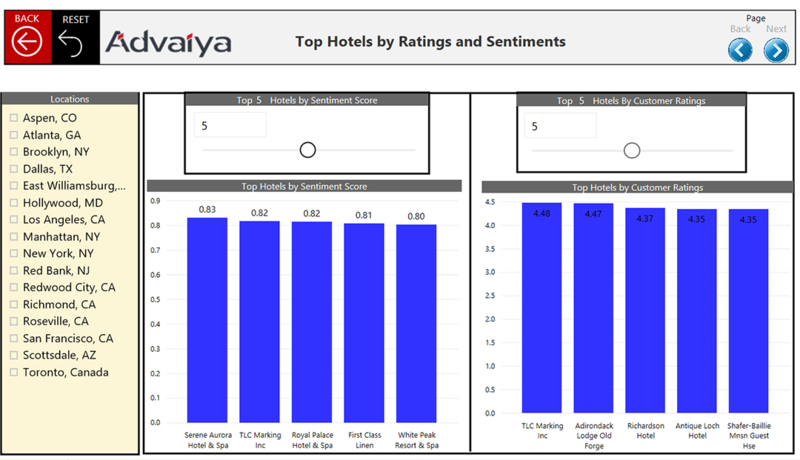 Average customer ratings display in a gauge visua, and a bar chart allows users to see the average rating score for all the hotels. Conditional formatting allows columnar view of the type of review. The Word Cloud visual page provides a view a color coded clusters of positive and negative keywords. Clicking on a word in the word cloud, will filter all the reviews containing that word. The Ratings and Sentiments page provides the basis for finding Top Hotels. We have attached a slicer that allows users to find up to Top 20 Hotels based on sentiments. Key Insights are summarized on the last page. We found the Top Hotels over the past six months and the last one month based on the ratings and reviews. And the Top Hotels in the last one month based on rating and sentiment(review). We can see the best Hotels list for each location and we have a list of hotels with very low customer ratings.